Ok I've been playing violin for almost two years now. Anytime someone would ask "Do you play fiddle?" I would say "No I play violin." So now I play at my church and we play a lot of Southern Gospel and Hymns and I'm noticing that I really need to play fiddle but I know nothing about the technique. I recently came across a friend who plays fiddle and as soon as she started playing I was like "Thats fiddle." Even when we played the same song she sounded like a fiddler and I sounded like a violinist. I just go with Viddle > sometimes it feels like a violin sometimes a fiddle > it always feels sweet and gives me much pleasure so to make it not complicated to myself I go with Viddle > after a long day I say to myself > Yep, think its time to pull out the Viddle. Hmmm, there is something wrong here, fiddle is not a genre, but the violin is a fiddle per se. You can play Mozart on a fiddle, you can also play bluegrass on the violin, Itzhak Perlman, one of the greatest contemporary player I know, calls his violin a fiddle, yet he seldom plays "fiddletunes" etc. standardly, a fiddle is any string instrument that is played by a bow....that includes the cello, viola, bass, viola da gamba, the violin, etc. in short, a violin is a fiddle, yet a fiddle is not just the violin. A fiddler plays from the heart and improvises. A violinist sticks to the sheet music verbatim. Traditionally the differences have been class related. Poor people played the fiddle, rich people played the violin. I am doing everything in my power not to become a violinist, but a fiddler. It's hard since I was trained classically with the piano. Traditionally the differences have been class related. Poor people played the fiddle, rich people played the violin. Not all violinists just stick to sheet music, and not all fiddler just play for the heart and improvise, many violinists make their own arrangements, improvise, etc. and many soloists don't sight read, and if you say by heart, look at how Perlman, Joshua bell, or read how Kreisler and many famous violinists play, they don't play because they can, they play because they love to! the ones I know that only play without emotions are those who think they are cool when they play, or because their parents pushed them to play. anyway, stick literally, a violin is a fiddle, a fiddle is not only the violin. if you say you don't play a fiddle, but a violin, then you are wrong, because if you play the violin you are already playing a fiddle. Mostly true, though I do think that all classical violin soloists can sight read. There is just too much repertoire that they need to get through to be accepted in the profession and learning all that by ear would be next to impossible. Violin / fiddle, same creature. I think it depend's more on who one is talking to when refering the instrument itself. If I were playing in a symphony orchestra I would refer to it as being a violin, if I were playing in a country western or a bluegrass band then I would refer to it as being a fiddle. I usually do refer to mine as being a violin though, regardless of what style I'm playing. Even though I can read music, (it's been a lot of years since I've had to)I think playing from sheet music to learn a song kinda limit's what one can do with any particular song. If one learn's a song from sheet music, that song and tempo is instilled in their head and it become's very difficult to relearn or improvise any other way to play it, to change tempo and quicken bow stroke's if need be, they have to re-adjust their timing. I play by ear, every song I know is played from memory, there is no sheet music (that I use) for the song's I do. When learning a new piece, I can start from the beginning and improvise right off the bat. I throw in extra note's that wouldn't be there on a written sheet. I play note's that I can hear (in my head) other instrument's filling in. If I were to play 3rd or 4th violin (solo) from the sheet music, it would be mighty boring to play and listen too. One would ask, "where's the rest of the song" ? This is a healthy discussion, not an argument! @ozmous Yes, the violin is a fiddle. However, YOU are either a violinist or a fiddler depending on the techniques you are using and the sounds you are creating. If I ask you what you play and you say the fiddle, I know immediately what techniques and sounds you are going to create as well as modifications you may have made to your violin. Each style has it's own techniques and mindset. It isn't necessarily an argument on what the instrument is called but rather on what YOU as the musician are called. I classify all the people you know who don't play with emotions or do it because their parents pushed them as violinists. 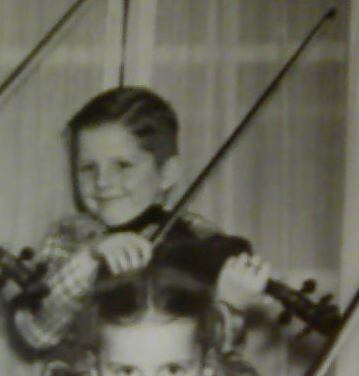 They may be holding a fiddle in their hands, but they are PLAYING as a violinist. From my point of view we all start out as violinists for the most part these days. If we get good enough then we will have the option/ability to play the fiddle, at which point we will be able to express our own individuality in our music instead of being a vessel of imitation as a violinist. Did you know that a violin and a viola are actually the same size?! The violin just looks smaller next to the violinist's ego!! I think people get just too hung up on the whole fiddle/violin or violinist/fiddler thing. To me it is just a toh-MAY-toh, toh-MAH-toh sort of thing. No saying a player can't be both, is there? But you are standardizing violinists as that, but not all! as much as not all country/bluegrass players play by ear and loves what they're doing. I've read that Tartini's father did not like him to be a musician... even I myself, I play not because my parents push me, they actually never like me playing the violin, insisting that I should play a guitar. Itzhak Perlman says he is a fiddler, or anyone who plays the violin as a fiddler, he's a pro, he knows what he's talking about, you can't say that he's wrong, but he rarely play country music or bluegrass. fiddling is not even a style, it's just a verb of playing the violin, fiddle, fiddling, fiddler, whatever you use, that is still the violin and it's family, no matter what "style" or era or way you play it, medieval, baroque, classical, romantic, blues, etc. they are still played with a fiddle, by a fiddler. anyway, I've also see many bluegrass/ country, etc. player that doesn't show emotions, showing emotions is not on what you are playing but how you love what you're playing. what ever type of music you play, emotion will only show if you love it, saying that a violinist doesn't show emotions while playing is literally saying that a fiddler doesn't show emotions when they play, a violin is a fiddle, no matter what. So, was, Tevye a violinist or a fiddler ? The 'Nerdy McNerd' answer is fiddle comes from an Old English word, handed down through Old Norse (http://www.etymonline.com/inde.....in_frame=0) and violin comes from from Medieval Latin (http://en.wikipedia.org/wiki/V.....ite_note-2). So both terms are accurate to describe the instrument itself but depending on ancestry one may have inherited one or the other in usage. I thought that was the neatest thing when I found out (yes, I'm a nerd). I think however, they can be applied to genre as well. When you say 'violin' people typically think of an orchestra and Mozart. Fiddle has a more comfortable feel even though I think the music is still complex because it comes from the heart. Good your a nerd, I'm a geek anyways, a violinist also plays from the heart, as I've said, not all fiddler plays from the heart as much as not all violinist plays from the heart as well. Saying that is like saying tomato (to-ma-to) is better than tomato (to-may-to), aye Daniel or a keyboardist plays much from the heart than a pianist! I thought about the 'heart' thing after I posted. It's not to say that violinists don't play from the heart, but to me there is just something about fiddle meaning bluegrass/Irish/Scottish type stuff that touches me in a more 'homey' kind of roots way. I can't explain it. It's like its more inviting and willing to play with you or cry with you. There are classical pieces that make me want to soar with the notes off the page, though. None that I can play mind you, but that's what recordings are for. I always thought that classical music came more from a written tradition while fiddle music came more from an aural tradition, kinda like the difference between folk tales and literature. In the modern age, both can be found in written form, but "fiddle" music is less consistent in its written manifestation(s) due to the aural nature of the genre. "I thought about the 'heart' thing after I posted. It's not to say that violinists don't play from the heart, but to me there is just something about fiddle meaning bluegrass/Irish/Scottish type stuff that touches me in a more 'homey' kind of roots way. I can't explain it." Yes, that's the whole point of music, it touches someone no matter what genre it is, music like works of Tchaikovsky or Paganini, touches me as well, it's like "god-like" to me, the thing is, if a genre of music makes you emotional, and another different genre doesn't, it doesn't mean it's the same as other people, people have their own feelings, some people doesn't feel anything when it comes to blugrass but gets very emotional when it comes with classical and vice versa, it's not standard, or constant that many people don't feel one genre more than the other, because everyone is different, it's not like ALL "violinist" plays just with sheet music, not even caring about what the music feels like, and ALL "fiddler" plys from the heart without sheet music, as what Hmann is clearly implying, no offence, but it is the most ignorant and irrational conclusion I've ever imagine! Anyway, a real musician feels any music, any genre what so ever. @dionysia , you can actually change something from works of "classical" composers, it's called an arangement, or how about changing a lot of things from a theme or an aria, then make follow ups from that one, that's called "variation" or a complete improv of a whole concerto, like a "cadenza".